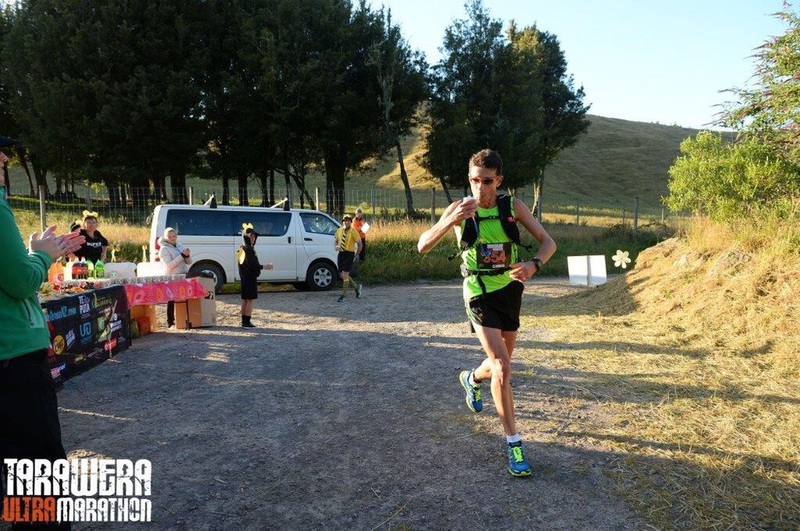 Sydney-sider Chris recently completed the Tarawera 100k ultra in NZ on 7th Feb and was really happy with 8th in a world class ultra trail field (and was the first Aussie home). Tarawera is part of the 11-race Ultra-Trail World Tour: http://www.taraweraultra.co.nz/ and has shorter distances if you’re keen to take up the challenge? Ultras by definition are any event you undertake over the marathon distance of 42.2km. There comes a point with these distances where you are out on the course for enough time to warrant adequate preparation with regards to equipment and nutrition. With the marathon, you might be able to get away with taking only water and energy gels but with ultras, you often find that these are run off road over mountainous, rocky terrain which immediately adds a lot more time to the equation. And with more time out on course, the more you will need to ensure you hydrate and fuel up effectively to get you to that finish line. 1) Equipment: Most ultras as mentioned are run in the bush and at various times throughout the year. As such, the weather conditions on the day will play a very important role in how you will experience the event. The age old saying, plan for the worst, hope for the best is the general rule of thumb so you will need to go out and purchase adequate equipment for all likely scenarios. There is a plethora of gear on line and most is quite expensive, however until you are hooked and entering events every weekend, you can purchase the bare necessities from places such as outdoor camping shops. 2) Nutrition: Equally as important as running with the right gear is ensuring you hydrate and fuel up for the ultra. Without the right balance of carbs, protein, water, salts/electrolytes, you may risk the chance of running out of energy, becoming too hydrated or dehydrated or overloading your system thus causing stomach problems. Here are some bullet point tips on what I think about when preparing for and completing any of my ultra events. These also relate to my 50km and 100km road events. Cut down on excess caffeine. If like me, you usually have 2-3 coffees a day, scale it back from Monday onwards to just 1-2 coffees then just the one on Fri / Sat / Sun. Same goes for alcohol. Introduce electrolyte drinks from Thursday onwards i.e. powerade or similar. Again just sip sporadically during the day so that you don’t over hydrate. If you are a heavy sweater, or if it is expected to be hot conditions on the day, you will need to compensate for this and plan to drink earlier and more often during the race. Fill your camel bak or water bottles at every aid station regardless of how much you have used. Salt tablets are an easy way to keep sodium levels at a normal level during the race. I usually take 1 per hour in moderate conditions with an extra one every 2 hours in hotter weather. If you know your sweat rate, drink the exact amount you typically lose per hour (test this in training). After approx 5-6hrs, you can start to eat protein. Work on 75% carbs, 25% protein ration in that 60gram per hour intake. Fats: Whilst not absolutely essential for the event you are currently running in (you already have enough fat stores for this), it does wonders to comfort you and make you feel good when times are tough during the ultra. Again, don’t overdo it but go ahead and enjoy a little of the good stuff later on in the race. Load up on carbs in the days before the race but don’t overdo it the night before. These races start very early and you don’t want to spend the first 1hr sneaking off into the bushes for number 2’s. A lighter style rice dish is the way to go the night before. Race morning just eat what you normally would before a marathon or long training run. I have two pieces of toast with banana and honey and my essential one coffee with half a bottle of powerade. Eat early on: You will be feeling great with all the energy in the world in the first hour or two. This is when you must eat and not just tiny nibbles or gels. Real food. You will be more likely to actually eat and digest it at this stage than later on when your stomach may start to feel a little precious. Glucose deficiency: You may start to feel depleted towards the latter stages. Head spins, fuzzy or blurred vision, stumbling a little and just out of puff. Your body is out of energy. The quickest fix for this is sugar so depending on how far you are from the end, have some coke & lollies to manage the symptoms and if you can, some solid food to help restore energy levels. This may prove difficult so just mash it up and shove it down anyway you can in very small bits. Finally post event: Your body will take days to recover from a gruelling ultramarathon. Chances are that you have finished and are enjoying a beer and a burger post race. That’s what I do. But slowly as you wake up the next day and so on, try to get back into healthy eating habits and replenish your muscles and energy with similar foods you normally train with. This will have you bouncing back quicker. Below is a list of snacks and foods that Ultra runners might choose from. Practice eating these in training. You may find most of these or similar on the aid station tables during the event but it’s worth carrying some items in case they have run out or your stomach does not agree with what they are offering at each particular table. Jelly Babies, Muffins, Cookies, Rice Pudding, Cereal Bar, Pop Tarts, Baked Potato, Jam Sandwich, Vegemite sandwich, Bananas, Carrot Cake, Dried Fruit (not too much though),Hot Cross Buns, Nectarines, Cous Cous, Porridge, Tea Cakes, Rice Crispie Squares, Salt and Vinegar Chips, Cold Tuna Pasta (Whole-wheat is best), two minute noodles, scones, chocolate, Lentil Soup (Or any other), lollies. But with everything, practice makes perfect so get out there and enjoy the practice. And then you can really enjoy your next Ultra Marathon even more. How does it feel to run 100km?